As green and renewable energy forges forward as the next major energy trend, one company has recently established itself as a major contender. 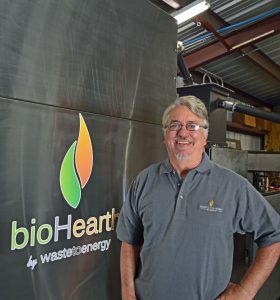 Waste to Energy Systems, LLC in Louisiana has recently filed a patent for it’s biomass gasification system, the bioHearth®. 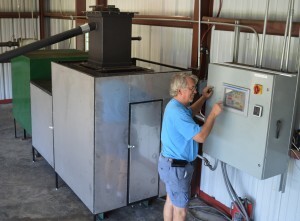 After six years of research and development, CEO Richard Woods decided it was time to lock in his waste to energy invention with a patent application. Woods’ system is definitely the path of the future. 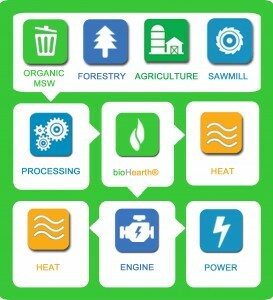 What is biomass gasification you may ask? Gasification is the process of breaking down carbon-based materials (e.g. agriculture waste, tree trimmings, cardboard, etc) into a high-energy gas. This is accomplished by applying extreme temperatures in an oxygen-starved environment. The gasification process significantly reduces harmful emissions compared to either incineration or landfills. The resulting product is Syngas – a flexible, local fuel source that is significantly cleaner than fossil fuels. Essentially, it is the optimal way to turn waste to energy. Richard working on one of the earlier versions of the bioHearth® downdraft gasificiation system. Already popular in European countries where necessity was king, gasification systems are prevalent along with solar and wind energy. Woods’ goal was to take the concept of gasification and make it simpler and better. Woods’ motto is “solve the problem where it begins rather than an afterthought down the line.” The result is a small footprint, carbon neutral, and easily maintained waste to energy system that is peaking interest from Europe to Alaska and everything in between! To find out more, click here. 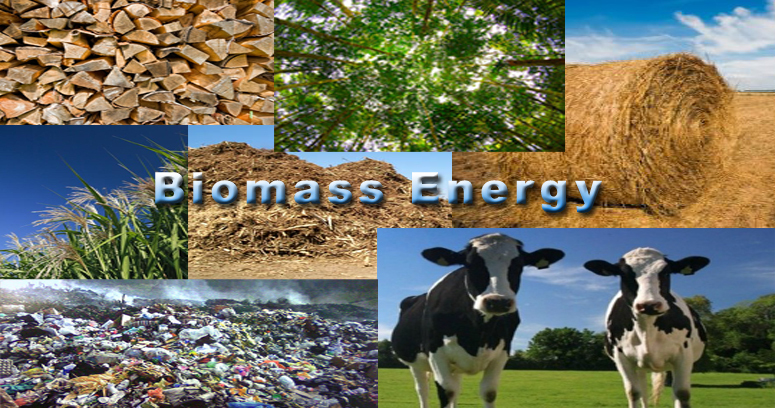 Biomass gasification is quickly gaining popularity as companies like Waste to Energy Systems continue to make advancements. A recent article on Bioenergy News website discusses the benefits of this technology in their article “Global researchers give thumbs up to advanced biomass gasification.” The article discusses a recent report published by Energy & Environmental Science creating a case arguing that biomass gasification is “as a promising, viable and economically beneficial technology for fuel and energy.” It is thanks to advancements in biomass gasification such as fuel cleaning systems like the bioHearth’s gas cleaning system that now push this technology type into the viable category. The article points out that one of the major benefits of biomass gasification is the fact it does not rely on climate to function like hydro, wind and solar technologies. Biomass can be sustainable and abundant as an energy source. 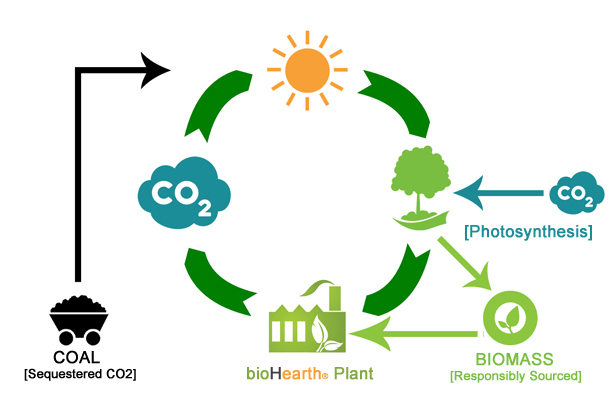 If the biomass is gathered from sustainable sources, the entire cycle can be carbon neutral. According to the article, this means “these advantages make biomass energy one of the most widely explored research fields in energy and environmental science: the major driver is to exploit low-cost feedstocks, to increase process efficiency and to decrease installation and operational costs.” A renewed emphasis on the versatility of syngas is placed in this article and how it can be beneficial for creating a variety of products. Renewable energy produced from the wind has garnered much attention and support in recent years but is often criticized for its low output and lack of reliability. But now a super power wind turbine has come along that may be just what the renewable energy industry needs. The MagLev wind turbine, which was first unveiled at the Wind Power Asia exhibition in Beijing, is expected take wind power technology to the next level with magnetic levitation. Magnetic levitation is an extremely efficient system for wind energy. Here’s how it works: the vertically oriented blades of the wind turbine are suspended in the air above the base of the machine, replacing the need for ball bearings. The turbine uses “full-permanent” magnets, not electromagnets — therefore, it does not require electricty to run. The full-permanent magnet system employs neodymium (“rare earth”) magnets and there is no energy loss through friction. This also helps reduce maintenance costs and increases the lifespan of the generator. Maglev wind turbines have several advantages over conventional wind turbines. For instance, they’re able to use winds with starting speeds as low as 1.5 meters per second (m/s). Also, they could operate in winds exceeding 40 m/s. Currently, the largest conventional wind turbines in the world produce only five megawatts of power. However, one large maglev wind turbine could generate one gigawatt of clean power, enough to supply energy to 750,000 homes. It would also increase generation capacity by 20% over conventional wind turbines and decrease operational costs by 50%. If that isn’t enough, the maglev wind turbines will be operational for about 500 years! Construction began on the world’s largest production site for maglev wind turbines in central China on November 5, 2007. Zhongke Hengyuan Energy Technology has invested 400 million yuan in building this facility, which will produce maglev wind turbines with capacities ranging from 400 to 5,000 Watts. In the US, Arizona-based MagLev Wind Turbine Technologies will be manufacturing these turbines. Headed by long-time renewable energy researcher Ed Mazur, the company claims that it will be able to deliver clean power for less than one cent per kilowatt hour with this new technology. It also points out that building a single giant maglev wind turbine would reduce construction and maintenance costs and require much less land than hundreds of conventional turbines. The estimated cost of building this colossal structure is $53 million. Renewable energy could be coming from underground turbines in city water lines. Renewable Energy is coming from unexpected sources like city water lines. A recent article from The Daily Good featured this new technology. An energy company in Portland recently developed a turbine in a pipe that can be placed in the existing lines to capture the energy of water moving thorough the pipes. The turbine spins which motives a generator on top of the pipe. As the video states, water and energy are closely tied. This type of renewable energy is a low impact technology that does not rely on the weather. The technology is known as the “Conduit 3 Hydroelectric Project”. Projects like these are some of the up and coming technologies that will help change over the power source from fossil fuel to renewable. It is joining the ranks of other systems that are not weather dependent like biomass gasification systems. For the full article, click here. 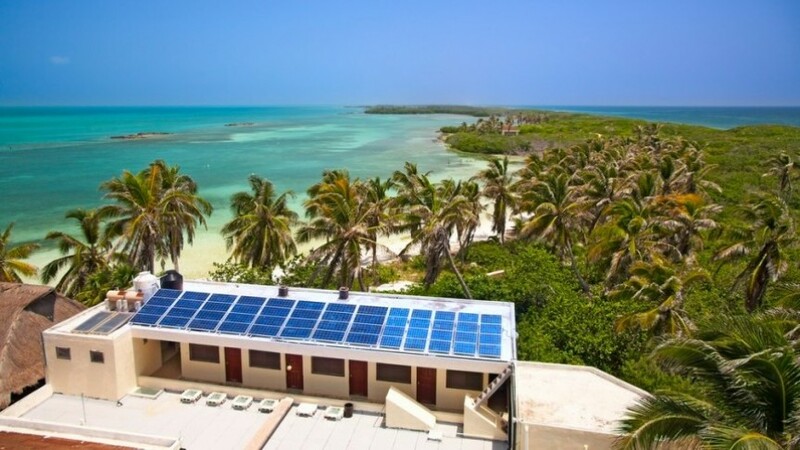 Renewable Energy and the Caribbean Islands are a match made in heaven! Renewable Energy is about to experience a boom in the Caribbean islands and Central America. After several forums held in the Bahamas, a positive outcome was finally reached. $10 million dollars in funding will be provided by the United States Trade and Development Agency (USTDA) and the Clean Energy Finance Facility for the Caribbean and Central America (CEFF-CCA) in a joint venture to strengthen energy independence and economies in these regions. The announcement of the funding was officially released by US Secretary of State John Kerry This is one of many initiatives headed by the USTDA whose goal is to assist in energy development in developing and middle-income countries. Efforts like these further prove that renewable energy systems like the bioHearth downdraft gasification system will only become more important as the push for alternative and sustainable energy grows. 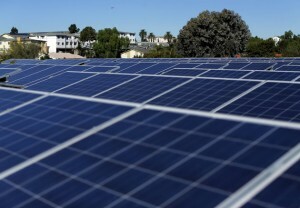 Affordable renewable energy may be easier than previously thought. Affordable renewable energy? Sounds like a contradictory statement, right? However, renewable energy is slowly overcoming its reputation of being complicated and expensive. As alternative energy systems like solar panels, wind turbines and biomass gasification systems gain momentum in replacing fossil fuels, the world is slowly realizing that the biggest cost associated with using renewable energy systems is connecting it into the aged, out of date energy infrastructure of the U.S. and other countries around the world. Huffington Post recently published an article addressing this issue. It focuses on how investing into the infrastructure could make switching to renewable energy much easier and reduce its cost by as much as 30%. In many countries, renewable energy is as affordable as fossil fuels. The issue that stops a lot of companies from investing is renewable energy requires more investment up front. The funding for renewable energy projects already exists through funding from entities like the World Bank, and organizations like these can help eliminate the risk of updating the infrastructure to be green energy friendly. Last year alone, $329 billion dollars were invested in renewable energy projects. However, that is small in comparison to the $500 billion dollars given to subsidizing fossil fuels. Society needs to switch their mindset and commit to putting the work into updating the infrastructure that severely need updating anyway and saying goodbye to conventional fossil fuels. With the next generation coming into adulthood, it is no longer a question of if sustainable alternative energy systems are needed but instead the question is why are we not switching over as quickly as possible. Climate change to this next generation is a fact and no longer needs to be proven to them. For the full Huffington Post article please click here. 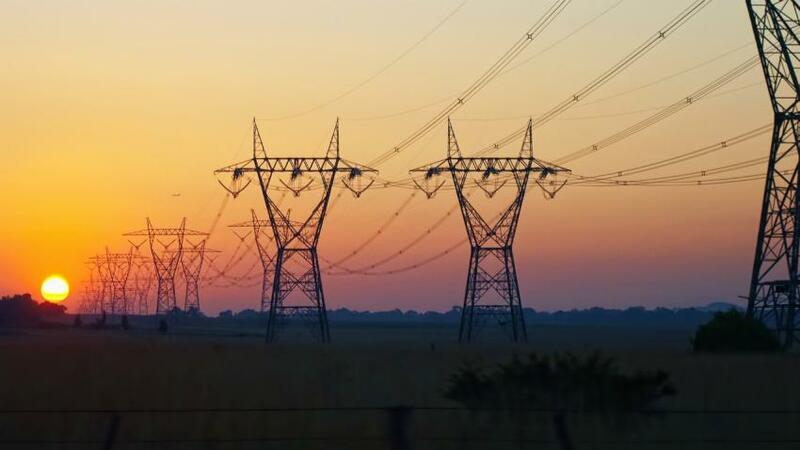 Could the U.S. Power Grid be Stopping the Success of Alternative Energy? Blogger’s Note: The question is starting to arise that with all the technological advances in renewable and alternative energy systems why is the US not on the same level as some of these European countries that are running a high percentage of their daily energy use off of these types of systems? One big reason is the fact that the U.S. power grid is not ready to handle these types of technologies, creating a huge bottleneck in the ability for companies to switch to a greener power source. A recent article from sciencemag.org discusses this need for an updated grid and the immediate benefits the nation would see if the investment was made. 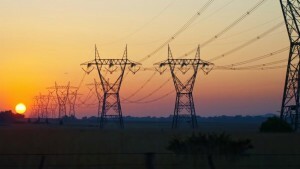 But some observers wonder whether the U.S. power grid can rise to the renewables challenge.The grid is divided into several regional grids or “interconnections,” which contain smaller subdivisions. Because regions experience both sunless and windless periods, energy planners and experts have long believed that a wind- and solar-dominated grid would need to store some power for later use. The problem is that large-scale storage technologies haven’t been commercially realistic. Koomey notes that the researchers aren’t necessarily advocating a totally storage-free, national system or trying to bash storage technology. “They’re just saying, ‘Let’s just explore a system without storage and see if it’s possible.’” The answer, he says, is that it’s more possible than many people might think.